On 3rd March 1513 an intrepid explorer with a crazy dream set off in search of eternal youth and failed to find it. This was Juan Ponce de Leon, who did find something else that nearly fitted the bill! 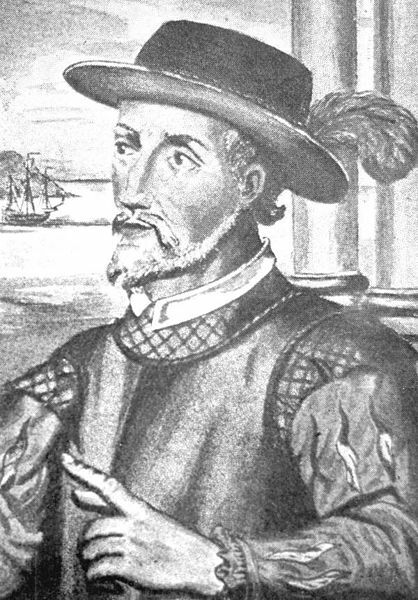 Juan Ponce de Leon, who was born in 1474, was one of Christopher Columbus’s companions on the latter’s second voyage of exploration. He became governor of the island now known as Puerto Rico and amassed a considerable fortune, mainly by trading in slaves. He started listening to tall stories about what lay over the horizon, and one of these concerned a magical fountain, the waters of which would guarantee immortality and eternal youth. The fountain, so the stories went, was on an island to the north. Ponce de Leon was stupid enough to believe that the fountain actually existed and so sailed off with three ships to find it. Land was sighted on Easter Day, so the island (which Ponce de Leon believed it to be) was named Pascua Florida, which translates as “flowery Easter”. The land, which turned out not to be an island after all, has been Florida ever since. Needless to say, the Fountain of Youth was not found, although that does not seem to have dissuaded generations of Americans from heading for Florida for the good of their health when they get older. No doubt that was what prompted George Carlin to say: “I like Florida. Everything is in the 80s. The temperatures, the ages and the IQs”. Or maybe Juan Ponce de Leon was prophesying the creation of Disneyland – a Fountain of Youth if ever there was one!